I really enjoyed the format of these speeches. They were quick enough that you didn't feel like you were attending a long lecture, and the presenters were generally engaging in their delivery. Jamie Oliver kicks it off with a mini lecture about school food. He even brings a wheelbarrow full of sugar out on to the stage to make a point about how much sugar kids consume. Other speakers touch on food in schools too, including Ann Cooper, a California lunch lady on a crusade. 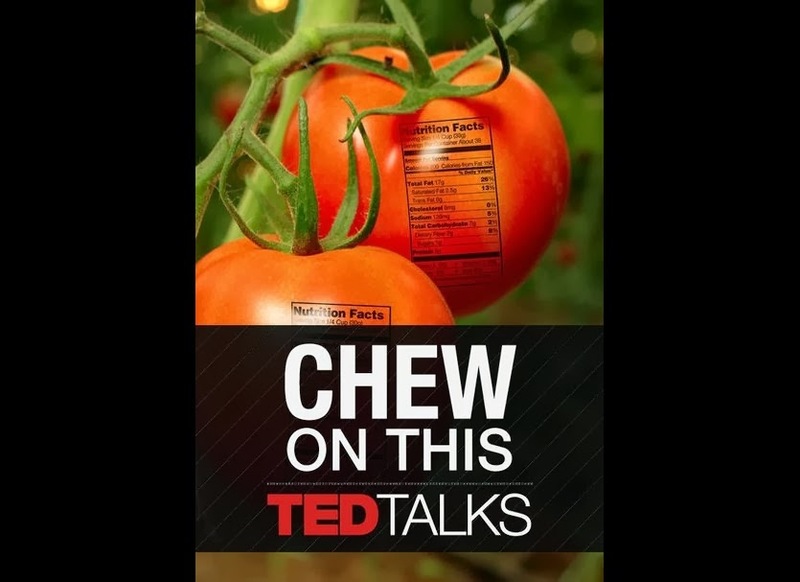 Mark Bittman of New York Times fame also has a lecture, on what's wrong with the way we eat, which you could expect. Several lecturers talked on worldwide hunger and famine, including Josette Sheeran, who at the time, worked at the UN's World Food Programme. A few addressed the issue of feeding an ever-growing world population - and the viewpoints were diverse and not all anti-industrial agriculture. Some were chefs, talking about specific issues like waste or finding ethical seafood options or even *gasp* ethical foie gras. A few speakers covered specific foods, like bread and the many transformations it undergoes from wheat to finished product. But perhaps most surprising were the talks about food that didn't have to do with any other category, but were just plain interesting. Nathan Myhrvold, who worked on the tome Modernist Cuisine talked about the amazing photography and graphics used in that work, and he was so excited about the thing it was hard to not get sucked in. My favorite was actually Jennifer Lee's talk on the history of "Chinese" food in America, and how most of what we call Chinese food actually isn't. It also made me want takeout. Being only 15 minutes in length, they don't take up much time. Even if you aren't interested in all of the topics, they are definitely worth checking out.